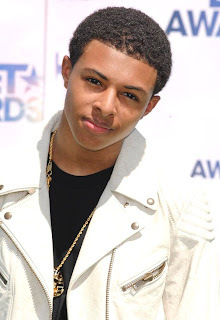 With all eyes on the reality-TV star, Diggy became a necessity at clothing events around his city, mixing his style of youthful attire to land the support of major artist such as Kanye West. The debut mixtape First Flight solidified his rap dreams and earned him a deal with Atlantic Records, officially following in his father's shell-toes as a major-label artist. Now, Diggy is readying debut album and certain to sky rocket in sales.